O&M Know Knott. | By Millie. I've always been a leave-in-conditioner kind of gal. 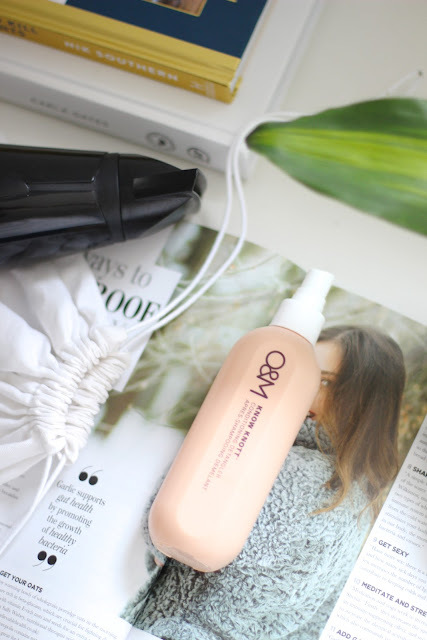 My hair is long, and it's super prone to the odd knot or two, so a leave-in products never go a miss. I tend to look out for formulas which claim to soften the hair, and prevent tangles, which is exactly what my current fave does. And it does it well, super well. O&M is a new brand on my radar. This is the first product I've tried from them, and I'm so impressed. First off, the packaging is super minimal and chic, the same as the rest of their line - at least, what I've seen. If you're in the UK you can pick O&M up from Look Fantastic and Space NK, just to name a couple. I'm desperate to try out more from them, so please leave your recommendations down below! 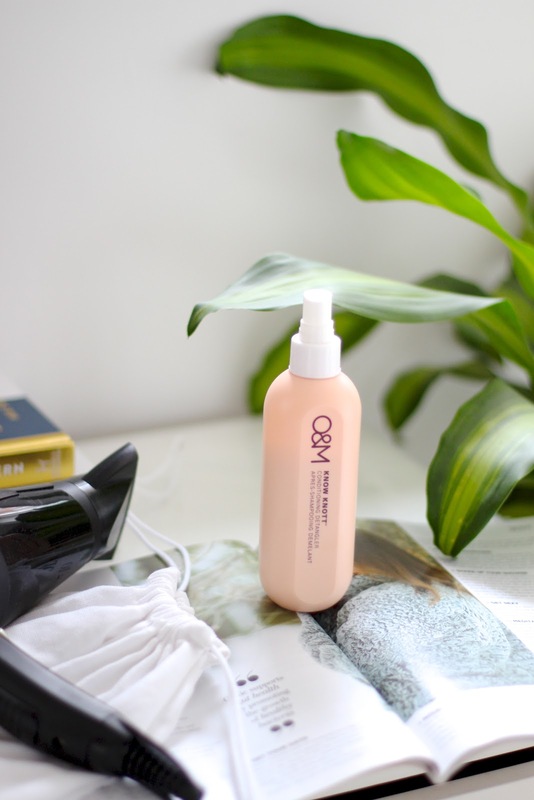 O&M Know Knott is the first product I apply to my hair once it's been freshly washed. I'm really not sure how that's happened as I'm anything but sparing with this stuff. I've also used this when I have had slightly shorter hair - we're talking just under the collarbone - and it works just as well, and feels just as amazing. The main benefit to this is the detangling aspect, and it does it really well. In the colder months I live in scarfs, which means my hair gets so tangled underneath it can be a nightmare to brush out. This has made that process 10 times easier! I also feel like my hair falls so much nicer once it's dried. I don't tend to blow-dry my hair often, so I love to find products that genuinely make it look nice, and not like it's not been brushed in 50 years. It doesn't have much of a scent, it's quite light and fresh, so very non-offensive. The spritz is nice as well. It desperses a nice amount of product, but at the same time doesn't feel like half of it disappears into thin air. No complaints from me! I truly love this stuff, and for £21, it's worth it, especially because of how long it lasts!! Let me know if you've tried this, and what you think, or of any other products from their line you really love and can't live without.